Published on March 1, 2011 in Actions, Athens, Hunger Strike, hungerstrike300, Injustice, News, Photos, Racism, Repression and Thessaloniki. 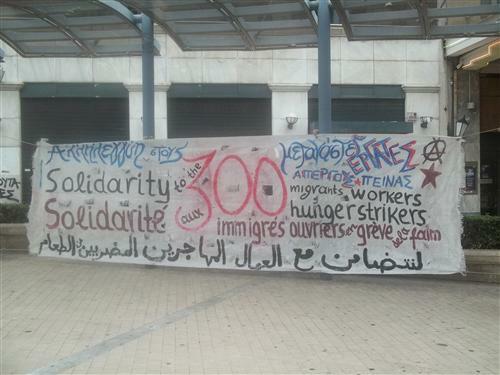 Closed Tags: 300, athens, greece, hunger strike, thessaloniki. 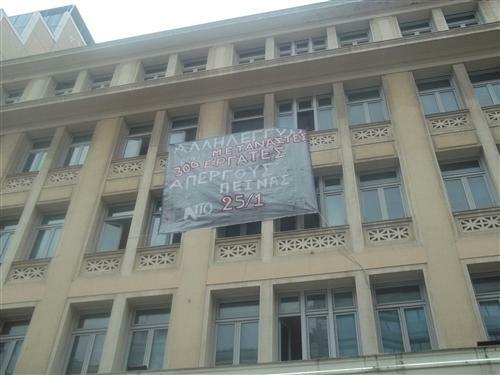 Today (28th of February), on the 35 day of hunger strike solidarity groups occupied the Ministery of Labour in Athens to protest against the unwillingness of the Greek government to comply with the demands for legalisation by the 300 migrant hunger strikers. In December 2010 an egyptian man, who was working as a cleaner at the Ministry of Labour, due to lack of security measures fell to his death from the 3 floor of the building while cleaning the windows. The solidarity groups call for a gathering at 2 p.m. in the Platia Korai, in front of the ministery. 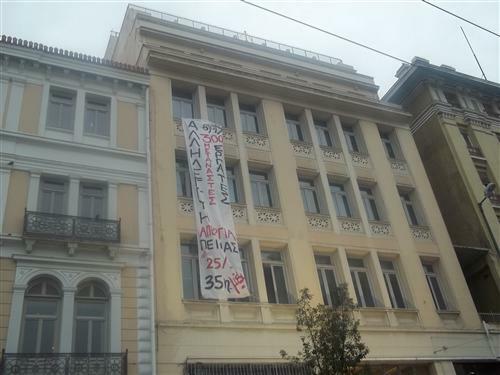 Published on February 25, 2011 in Athens, Hunger Strike, hungerstrike300, Justice, Locations and Thessaloniki. Closed Tags: 300, athens, European Union, hunger strike, legalisation, stockholm program, thessaloniki. The 300 migrant workers have been abstaining from food for 31 days now, since the 25th of January. In Athens and Thessaloniki, we witness fainting episodes all the time, everyday, all day long. More and more often, the situation of some becomes extremely critical, and the strikers are taken to public hospitals. Big young men, who for years have worked on farms and on building sites all over Greece, fathers and husbands, are now weighing 44 and 45 kilograms. They can hardly stand up. Three days ago already, the medical health team, who has been on the side of the hunger strikers from day one, spoke clearly: The strikers “have entered a phase where they are facing irreversible damage to their health”. They are in danger. In common terminology, that means that their vital organs will be harmed irreversibly, their memory and eyesight will be seriously under threat. 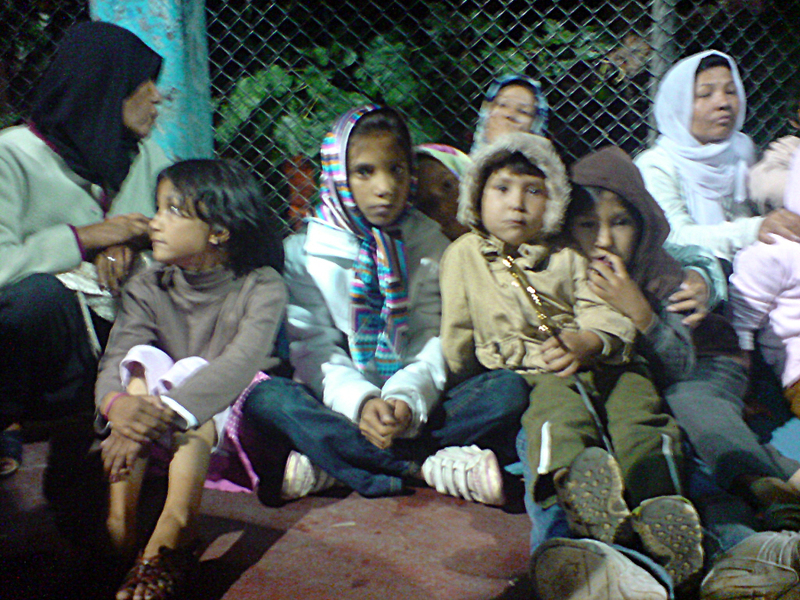 Published on February 15, 2011 in hungerstrike300 and Videos. Closed Tags: athens, hunger strike. Published on January 10, 2011 in Athens, Hunger Strike and News. 1 Comment Tags: afghanistan, athens, hunger strike, refugees. Today is day 12 of the hunger strike, and some of the strikers sewed their lips to emphasize their determination. While we have not been documenting this struggle, our friends at ‘afghan muhajer’ have done so extensively, so please pay them a visit to find out more. continue reading on Afghan Muhajer Blog.